Defending champion Heather Nedohin will face pressure from the Jones Gang, not to mention the rest of Canada’s top female curlers, when the 2013 Scotties Tournament of Hearts opens play on Saturday at the K-Rock Centre in Kingston, Ont. Nedohin, curling with vice-skip Beth Iskiw, second Jessica Mair and lead Laine Peters, captured her second Canadian women’s curling championship (her first as a skip) last year in Red Deer. Her Edmonton-based team will open its title defence on Saturday at 2 p.m. (all times EST) against New Brunswick’s Andrea Crawford (Oromocto). 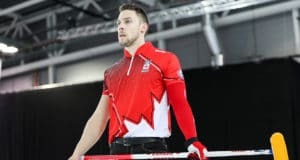 But Nedohin will face a stiff test to repeat in a deep field that includes two of the most accomplished players in Canadian women’s curling history, both with the last name Jones. 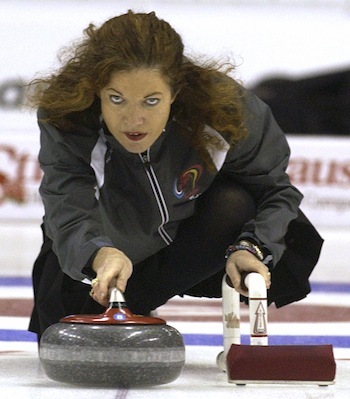 Manitoba’s Jennifer Jones (Winnipeg) is attempting to win her fifth Scotties title in her 10th appearance. Nova Scotia’s Colleen Jones (Halifax), meanwhile, is appearing in her record 21st Canadian women’s championship. 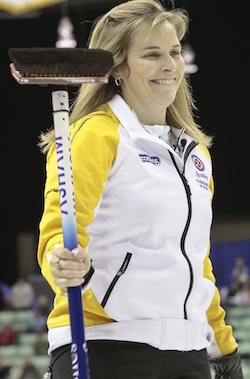 She now throws second rocks and has the vice-skip position, holding the broom for longtime teammate skip Mary-Anne Arsenault. Jones is attempting to win her seventh Canadian championship. As if those two teams weren’t enough of a challenge for Nedohin, she’ll also be facing stars such as B.C.’s Kelly Scott (Kelowna), a two-time Scotties champ making her eighth Hearts appearance, and Ontario’s Rachel Homan (Ottawa), who skips one of the top young teams in the world. The field is rounded out by Alberta’s Kristie Moore (Grande Prairie), Saskatchewan’s Jill Shumay (Maidstone), Quebec’s Allison Ross (Montreal), Prince Edward Island’s Suzanne Birt (Charlottetown), Newfoundland/Labrador’s Stacie Devereaux (St. John’s) and the Northwest Territories/Yukon’s Kerry Galusha (Yellowknife). The teams will play an 11-game round-robin draw that will conclude on Friday, Feb. 24. The top four teams will make the Page playoff round, which sees the first- and second-place teams playing for a berth in the final on Sunday, Feb. 24 (7 p.m.). The third- and fourth-place teams will also meet, with the winner moving onto the semifinal on Feb. 24 (9 a.m.). The loser of the three-four game will play the semifinal loser in the bronze-medal game on Feb. 24 (2 p.m.). TSN/RDS, the official broadcaster of the CCA’s Season of Champions, will provide extensive coverage of the 2013 Scotties Tournament of Hearts, with 66 hours of live broadcasts scheduled. 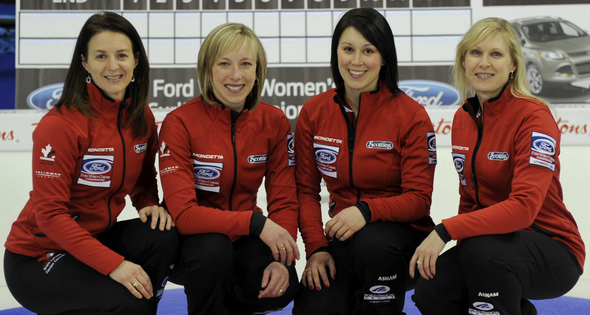 The winner of the 2013 Scotties Tournament of Hearts will represent Canada at the world women’s curling championship, March 16 to 24 in Riga, Latvia. The 2013 Scotties marks the 32nd anniversary of Kruger Products Limited’s sponsorship of the Canadian women’s championship. For ticket information, go to: www.curling.ca/championships/scotties/ticket-information/. The event draw is available at www.curling.ca/championships/scotties/draw-schedule/, while the list of competing teams can be viewed at www.curling.ca/championships/scotties/teams/.